Morning greeted us with a low overcast and a light mist. 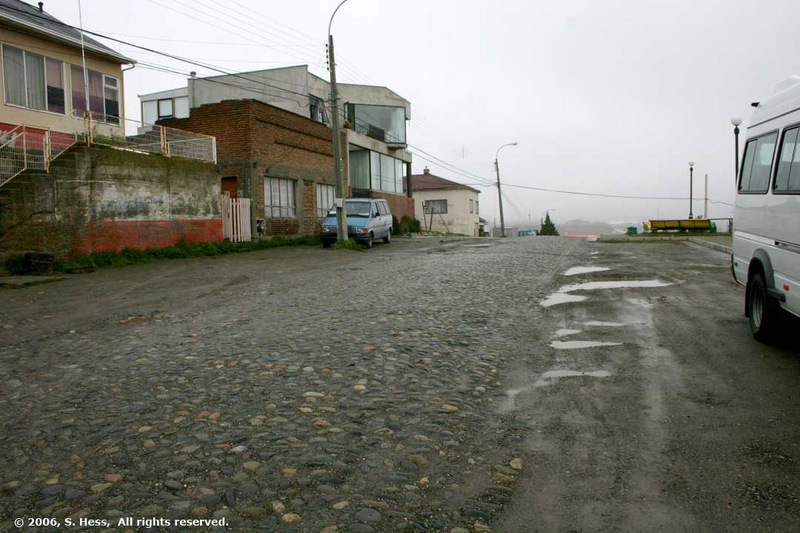 Not a great day to take a tour of the city of Punta Arenas. However, as we have done in all our travels, we went out and did it. Punta Arenas, which means Sandy Point, the name the British gave the area, was founded in the 1840s as a stopping point for ships heading to the far east from Europe and the east coast of North and South America. 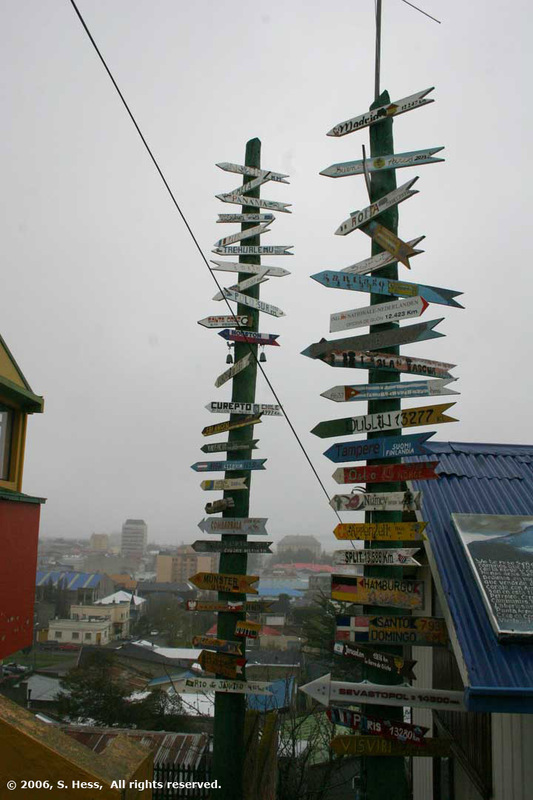 Punta Arenas is the southern most city in the world. It reached its heights around the time of the gold rushes in California, Alaska and the Yukon. The opening of the Panama Canal put an end to the need transverse the Southern Ocean to reach the west and the town went into a decline. 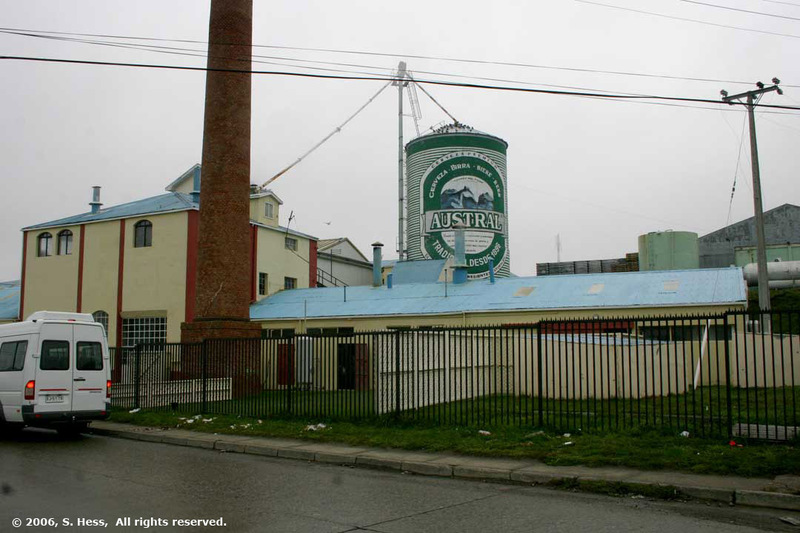 In the early 20th Century it had another peak as a meat processing area handling Patagonian sheep and cattle. Oil and gas has also been found in the area and has kept the city going into the 21st Century. Our guide and driver arrived on schedule and we went on with our tour. 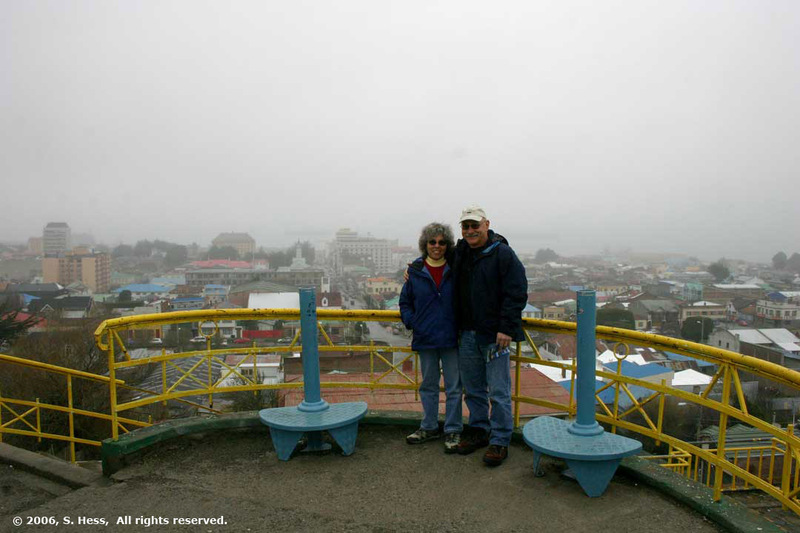 Our first stop was at the top of Cerro Mirador, a hill that overlooks the town. 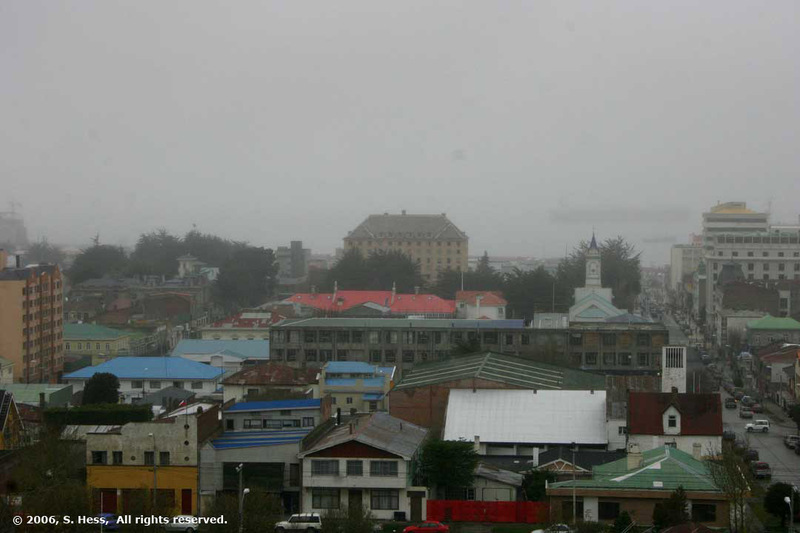 Unfortunately, the fog and mist kept us from seeing a good view of the town and the Straits of Magellan and the harbor was barely visible. Nonetheless, we were able to see one of the unique features of the town, the brightly colored roofs. Our guide advised the these are painted in this manner because the bright colors keep the town residents from going crazy in the bleak winters. 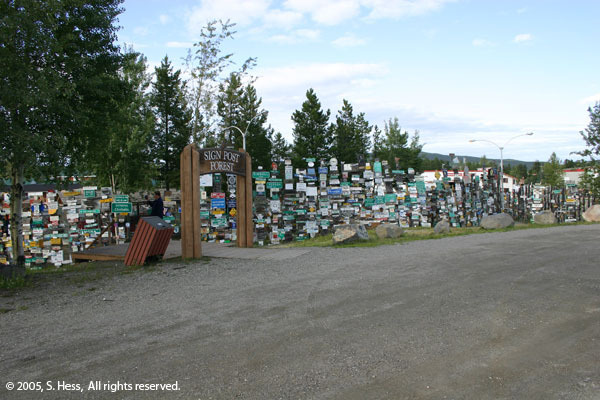 Also, on the hill, were a number of signpost pointing to world cities, a miniature version of the Signpost Forest in Watson Lake, Yukon. As we went down from Cerro Mirador, the guide showed us some of the different styles of homes that are found in the town. Our next stop was the town cemetery. 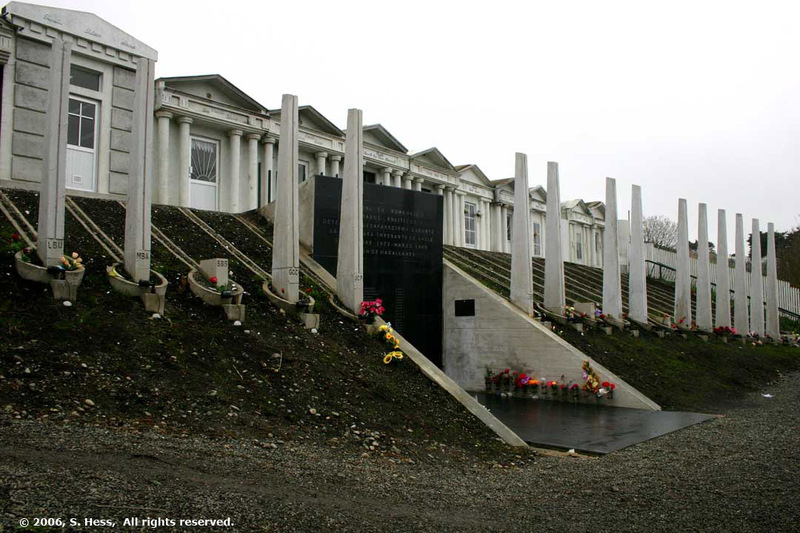 The cemetery has some unique mausoleums containing the remains of some of the town's better known citizens. One of the interesting things we noticed is the number of headstones and memorial plaques were in English, reminders of the influence of Irish and Scottish settlers in Southern Patagonia. Our guide showed us some additional highlights of the city before taking us to one of the local museums. 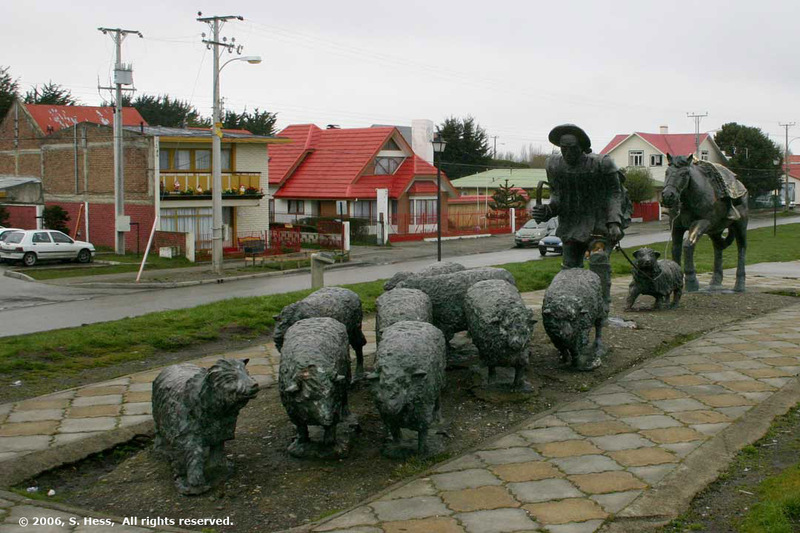 This museum has displays showing the natural and cultural history of Punta Arenas and the surrounding area. Photography was not permitted in the museum. The tour lasted about 2 1/2 hours and we walked around the area near the hotel for a while before heading to the airport for the flight to Santiago. 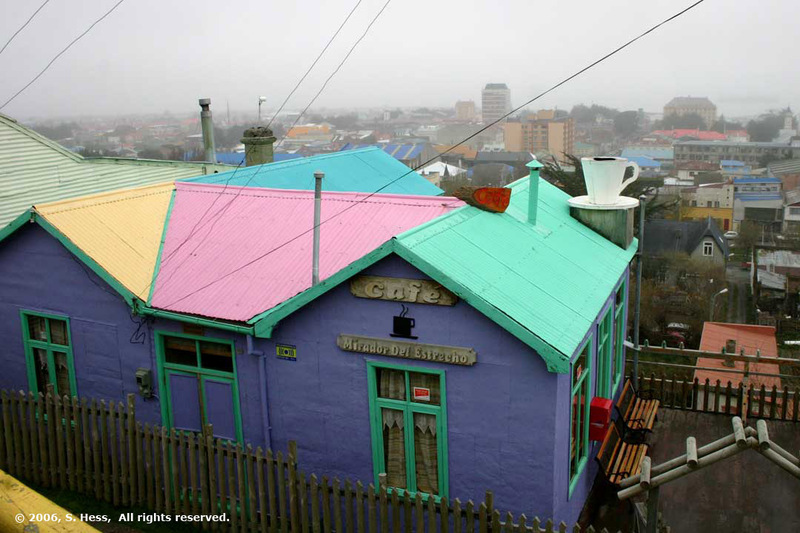 Colored roofs of Punta Arenas as seen from Cerro Mirador. Our hotel is the large building in the center. Cafe on Cerro Mirador. Its name translates to View of the Straits... not today. Note the coffee cup chimney. 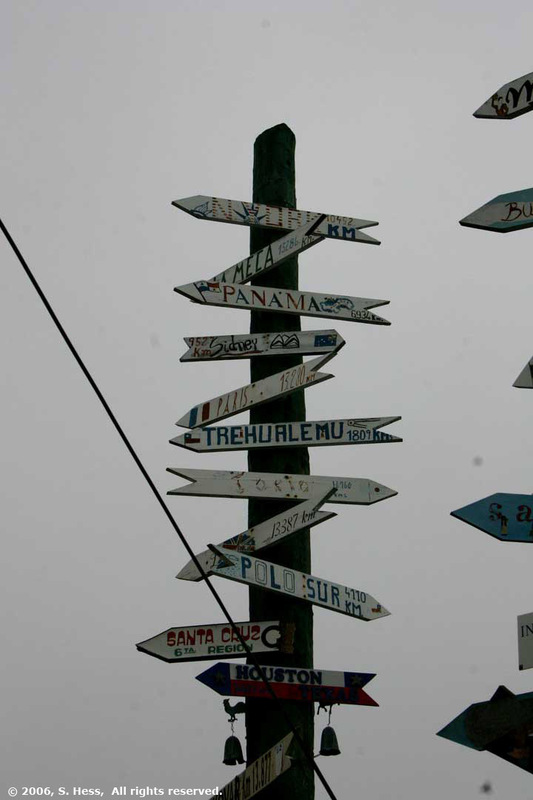 Signposts on Cerro Mirador. New York sign is at the top of the left post. 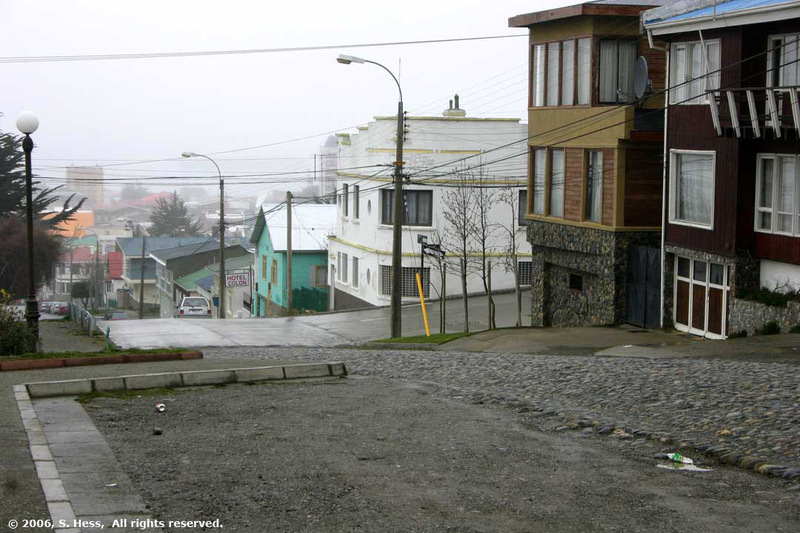 Oldest street in Punta Arenas built by Croatian settlers. The cobble stones were taken from local glacial rivers. Steamboat House, center, named for the round porthole windows is one of several similar homes in Punta Arenas. Shepherd's Memorial commemorating the importance of the sheep to the town. 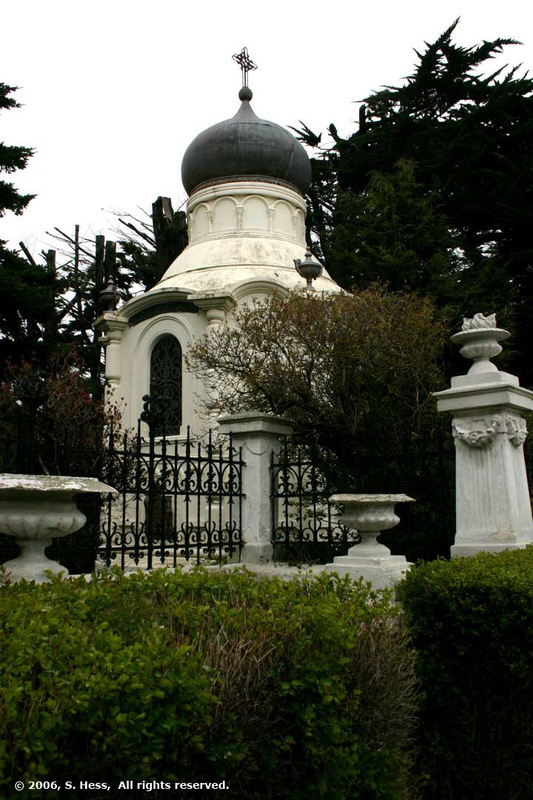 Two of the more ornate Mausoleums in the Punta Arena cemetery. 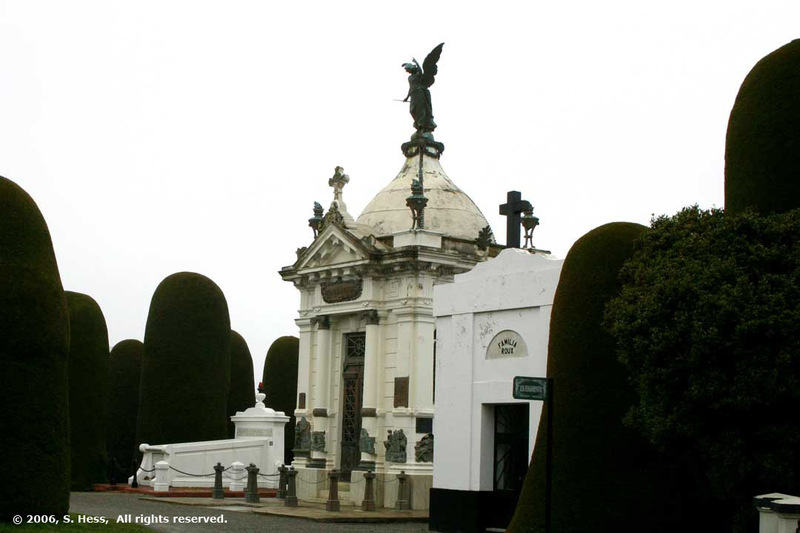 Jose Menendez, one of the founders of the town, is buried in the Mausoleum at the top. The Mausoleum, at left, is the resting place of Sara Braun, a Jew who converted to Christianity. Sara Braun donated the land for the city cemetery. 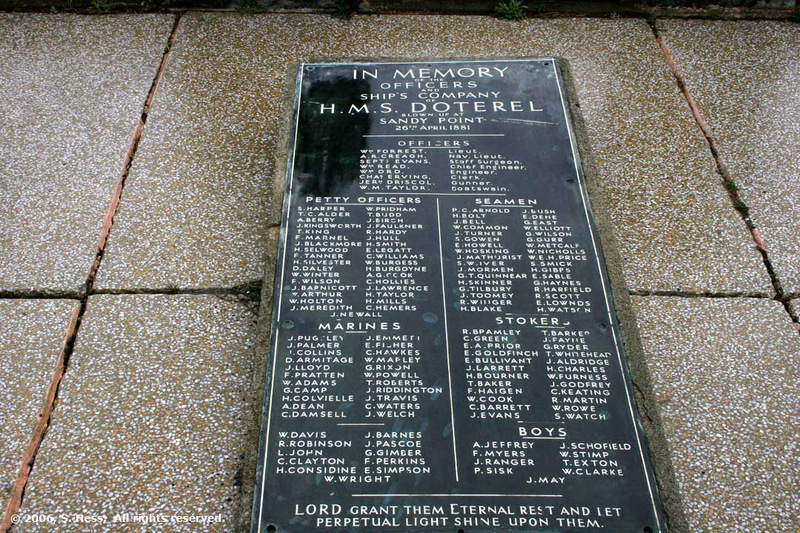 Memorial to the crew of the HMS Doterel in the city cemetery. The ship blew up off Punta Arenas in 1881 with loss of all hands. Memorial to local victims of General Pinochet's regime. The missing columns represent victims whose bodies were never found. Two of our guide's classmates are among the names on the memorial. 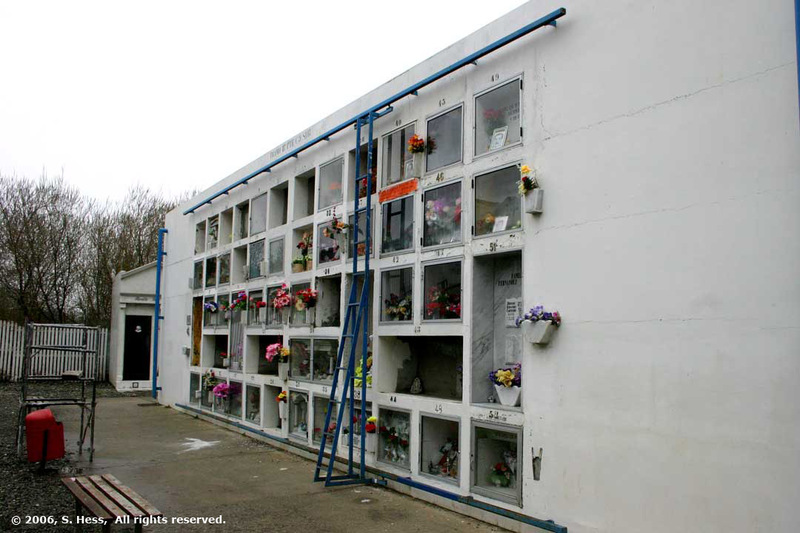 The cemetery is running out of room so most new burials will be in vaults. Rolling ladders allow family members to maintain the vaults. We noticed that many of them have pictures of the deceased, fresh flowers and other mementoes.